A reader once asked me: If I were to bring a spry, 73-year-old grandmother to Europe, where would I go? My response: France's Dordogne River Valley. I'd take her for a float down the river in a canoe, then cap the day with a great riverside meal — letting her enjoy goose liver (explaining what it was later) with the finest glass of French red wine she's ever had. Whether young or old, visitors to the Dordogne are easily charmed by its unforgettable blend of village charm and scenic landscapes. 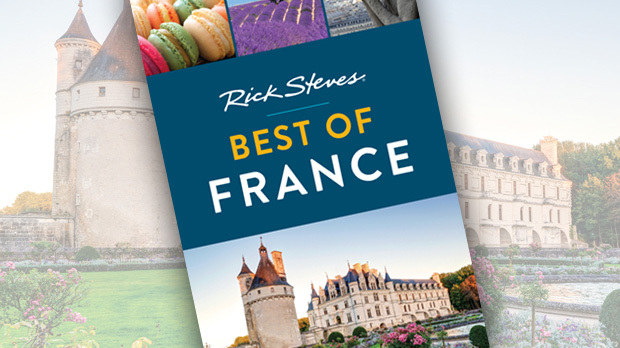 Its highlights include villages seemingly carved out of the rock, prehistoric artwork, floats along the lazy river, cute farmhouses perched amid fertile fields, and a local cuisine that brings together all that's best about French food. 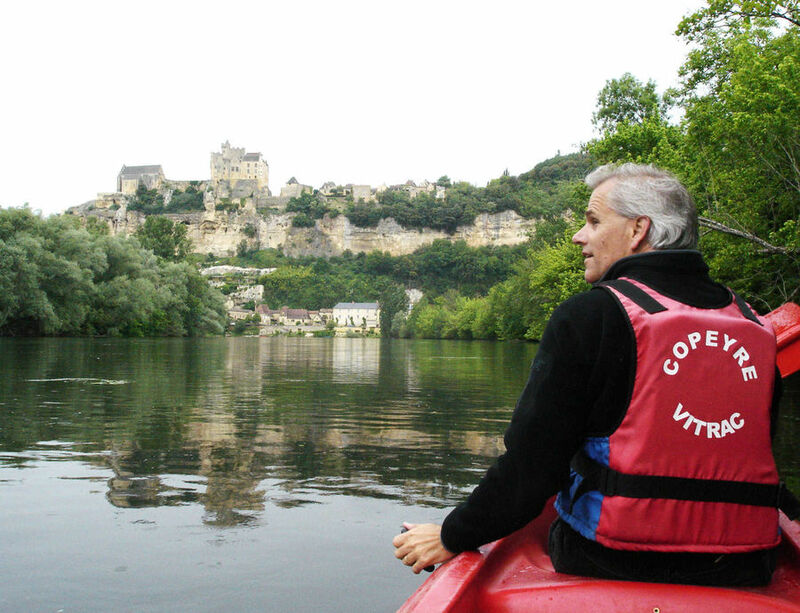 When I'm here, one of my rituals is exploring the riverside castles and villages via canoe. I can't think of a more relaxing way to enjoy great scenery while getting some exercise. Delights are revealed around each bend, and you can pop ashore whenever you like. There's always a place to stow the canoe, and plenty of welcoming villages. Two of the most picturesque are La Roque-Gageac, a strong contender for "cutest town in France," and Beynac, a perfectly preserved medieval village that winds, like a sepia-tone film set, from the beach to the castle above. On one particularly memorable Dordogne day, I enjoyed a perfect storm of travel thrills. Pulling my canoe up in Beynac, I hiked up to the brooding, cliff-hanging castle. And the lady of the castle actually opened it up for our TV cameras. It was like stepping back to medieval times. The castle was lit by little oil lamps — puddles of light giving the spiral staircase a visual rhythm. In the knights' mess hall, it felt as if the cooks were just taking a break. The attendant let me lower a huge plank door that opened up a treacherous little balcony high above the castle grounds. From that ledge, I reenacted a goofy little speech on camera, which I imagine happened many times during the Hundred Years' War, fought between the French and English (1337–1453). After some dicey negotiations with military types much stronger than him, the local noble lord would gather his subjects and declare, "Now you are French" or "Now you are English…deal with it." To step back even farther in time, visit one of the area's prehistoric caves. The Dordogne's limestone cliffs — honeycombed with painted caves — are unique on this planet. Long before Stonehenge and the pyramids, back when mammoths and saber-toothed cats still roamed the earth, prehistoric people painted deep inside these caves. 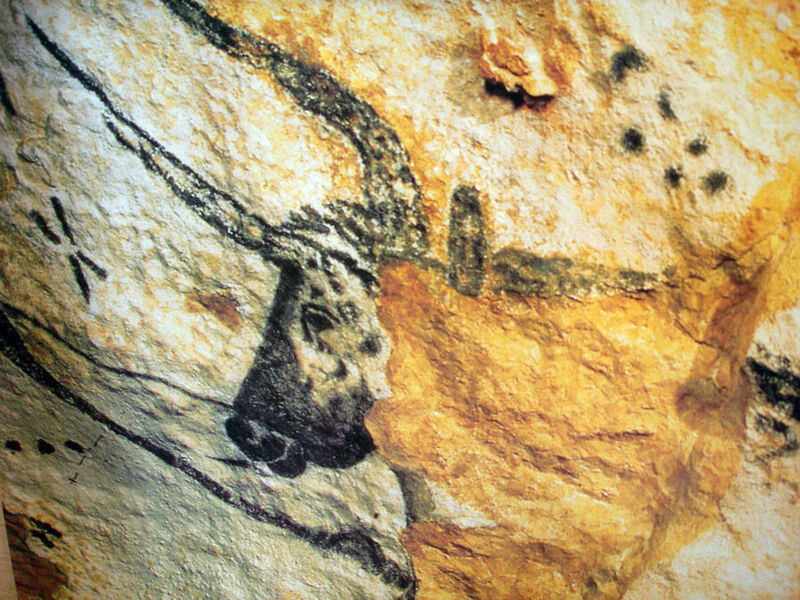 The most famous paintings are at Lascaux. Discovered accidentally in 1940 by four kids and their dog, the paintings in the Lascaux caves quickly degenerated, as a million people climbed through this prehistoric wonderland. In just 15 years, the precious art deteriorated more than in the 15,000 years before that. The original caves were closed to the public, and experts perfectly recreated the paintings with the same prehistoric methods use to make the originals. You'll soon forget you're looking at a replica. Descriptions of the caves' impressiveness sound like overstatement until you see them first-hand. Lascaux's main caverns are more than a football field long, and the hundreds of animal figures (horses, deer, bison, etc. ), painted high up on walls and ceilings, are monumental. The bulls are 16 feet high. Nearby is La Roque St-Christophe, a series of river-carved terraces, which has provided shelter for 50,000 years. While the terraces were inhabited in prehistoric times, the exhibit actually depicts medieval times, when people settled here to steer clear of Viking raiders sailing up the river. A clever relay of river watchtowers allowed them to keep an eye out. When the raiders came, residents gathered their kids, hauled up their animals, and pulled up the ladders. While there's nothing old here except for the carved-out rock, re-creations make it easy to imagine the entire village — complete with butcher, baker, and candlestick-maker. Though unique for its prehistoric sights, the Dordogne is typically French when it comes to a flair for food. Gourmet eaters flock here for its goose, duck, pâté, white asparagus, and more. One way to enjoy the tremendous cuisine is to visit a few markets, where you'll find fresh veggies, truffles, foie gras, cheese (the Dordogne is famous for its Cabécou goat cheese), and France's tastiest strawberries. One of the best markets is in the main town of Sarlat-le-Canéda. Everything is fresh and local — so seasonal that shoppers can tell the month by what's on sale. From canoes to cave art to cheese, the Dordogne is a rich brew of nature, culture, and cuisine. Once you experience it, you'll wonder why more Americans don't visit.